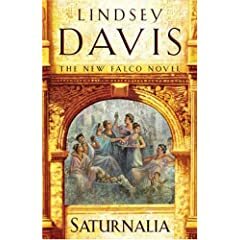 If you’re a fan of Lindsey Davis, you probably have already devoured Saturnalia. If you haven’t heard of her and have a soft spot for witty, Roman sleuthing with a cheeky touch of hard-boiled veneer, you might want to pick it up. Her series have been running for a good decade and I remembered picking up the first book when I was in high school. Over time, what I liked best is the way the main character evolved from bachelor without a care to good Roman citizen with wife and kids. They have adapted the Iron Hand of Mars as a 6 part radio play, and though some voices I’m listening to does not quite match with the voices in my head, it’s still a rare treat!